The woman who had invited Marty McMillan Jr. to her apartment after the two met on a dating website in April 2017 has been charged as an accessory to his murder. 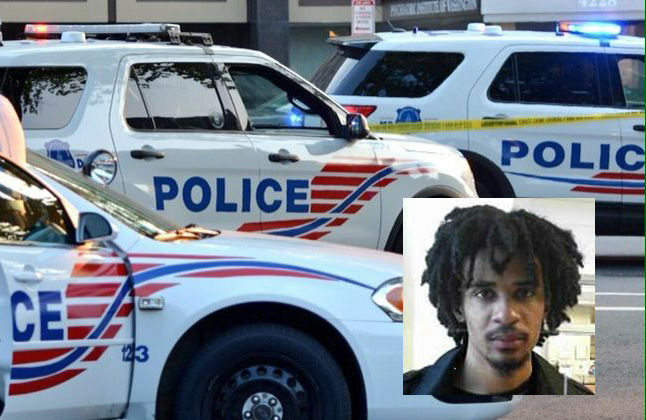 WASHINGTON — The woman who had invited Marty McMillan Jr. to her D.C. apartment after the two met on a dating website in April 2017 has been charged as an accessory to his murder. Shaniah Davis, 21, is charged with three counts of accessory after the fact to first-degree murder in connection with McMillan’s death. He was 22. In April of this year, Davis’s live-in boyfriend, John McRae, was charged with second-degree murder in McMillan’s death. This week, McRae was indicted on the charge of first-degree murder while armed, and two counts connected to unlawfully possessing a firearm during a crime of violence. According to previous charging documents, McMillan and Davis flirted on the dating website Plenty of Fish on April 22, 2017. Davis invited McMillan to the apartment she shared with McRae in the 2600 block of Martin Luther King Jr. Avenue in Southeast. Prosecutors say McRae got home from work early, at about 2 a.m., and realized another man was there. He allegedly shot into a closet, where McMillan had been hiding, killing him. Davis had previously told investigators McMillan’s body was removed from the apartment before 6 a.m. Prosecutors believe she helped in that process. In a Tuesday indictment, Davis was charged with helping McRae “by hiding and destroying and cleaning the crime scene,” and “lying to law enforcement … with intent to hinder and prevent the apprehension, trial, and punishment” of McRae. McMillan’s remains weren’t found until six months later, when U.S. Park Police discovered them in a shallow grave along Suitland Parkway in Prince George’s County. Davis has been released on her own recognizance. She is scheduled to be arraigned in D.C. Superior Court on Oct. 16 along with McRae.